Toby Alderweireld is delighted to be back in the Tottenham team and insists that he never wanted to leave the club in the summer. The 29-year-old Belgium international defender was heavily linked with a move away from the north Londoners during the transfer window with Manchester United believed to be keen on taking him to Old Trafford on the back of his impressive performances at the World Cup where his country finished third. However, Alderweireld, who moved to Spurs from Atletico Madrid for around £11.5million in summer 2015, ended up staying when no deal was struck for his signature. I just try to help Tottenham as best I can with my qualities. Regarding my future, everything that was said in the press was not right all the time. The former Ajax man is now in the final year of his contract with Spurs, although the club can trigger a one-year extension which includes a £25m release clause - significantly less than his current valuation. 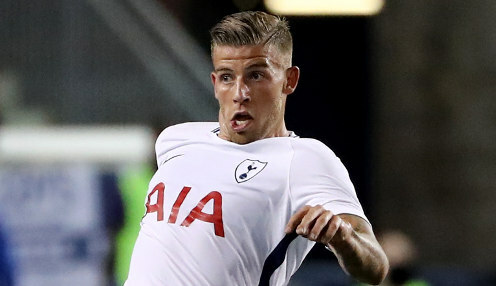 And, while reports consistently claimed that Alderweireld wanted to leave, the player has broken his silence to insist that was not the case and he is happy to be back in boss Mauricio Pochettino's plans this season having played in the last three matches. Alderweireld will almost certainly be involved when the Premier League returns this weekend as Tottenham are 21/10 to defeat early leaders Liverpool at Wembley. The Reds are 11/8 to make it five successive wins this season and the draw is 13/5.